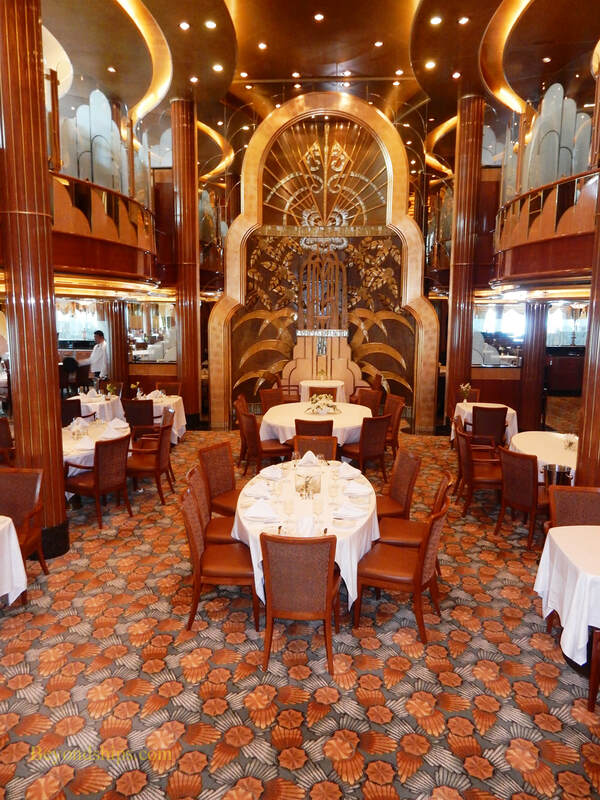 On Queen Elizabeth, which restaurant you dine in depends upon your cabin category. Queen Elizabeth's largest dining room is the Britannia Restaurant. It is two levels with a sweeping staircase at the forward end for making grand entrances. 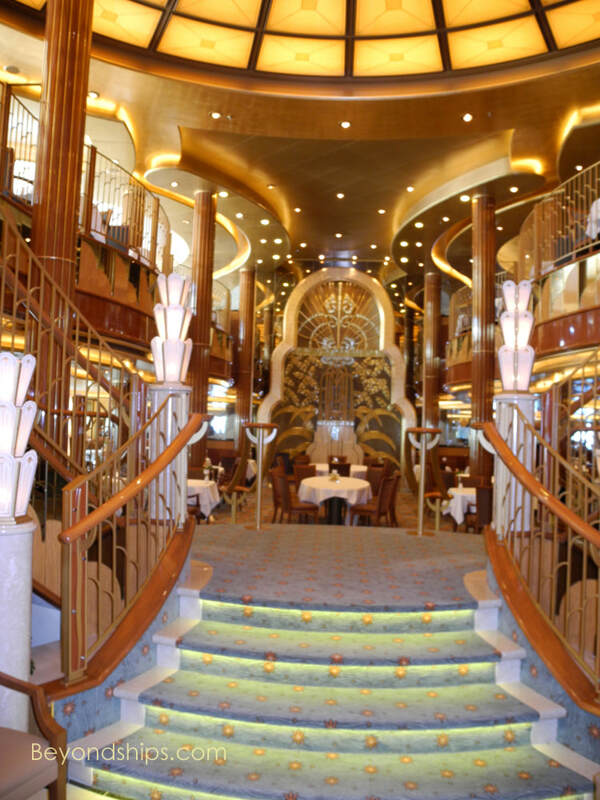 The Britannia is open for breakfast and lunch on an open seating basis. In the evenings, it follows the traditional ocean liner system. 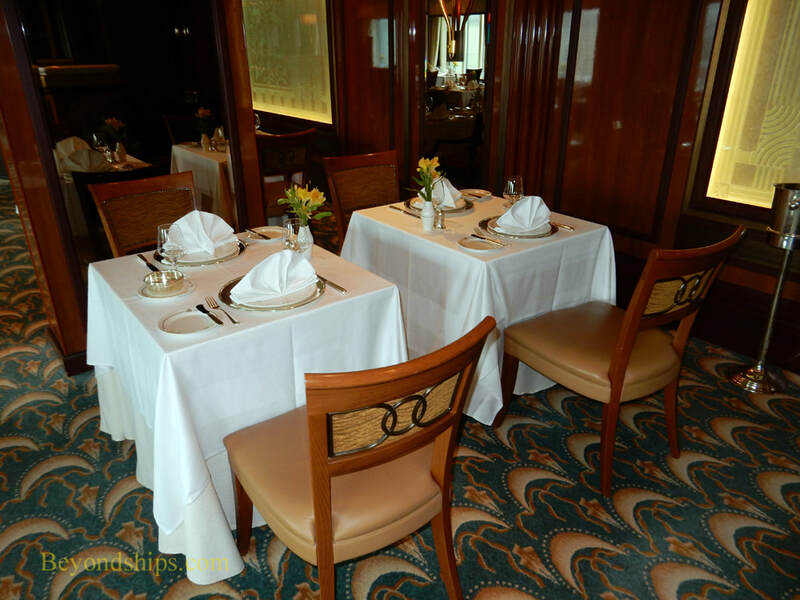 Guests are assigned to a specific table for either the early seating or the late seating. 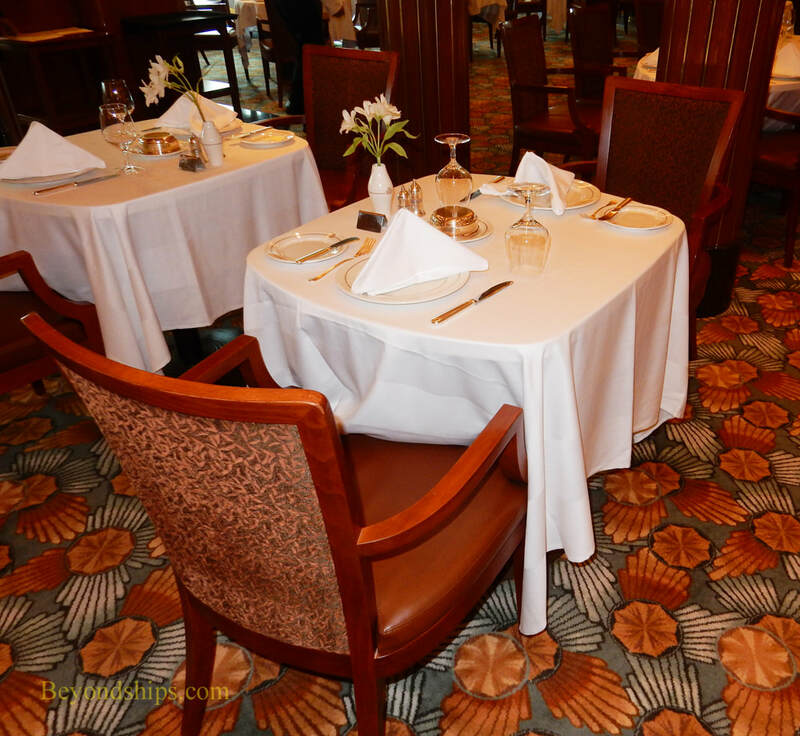 Guests can request either the early or the late seating when they book their cabin. It is sometimes possible to change once you are aboard but it can be difficult. The early seating is popular both with older travelers as well as with families with children and so it is often completely full. As a result, it is usually harder to go from the late seating to the early seating. 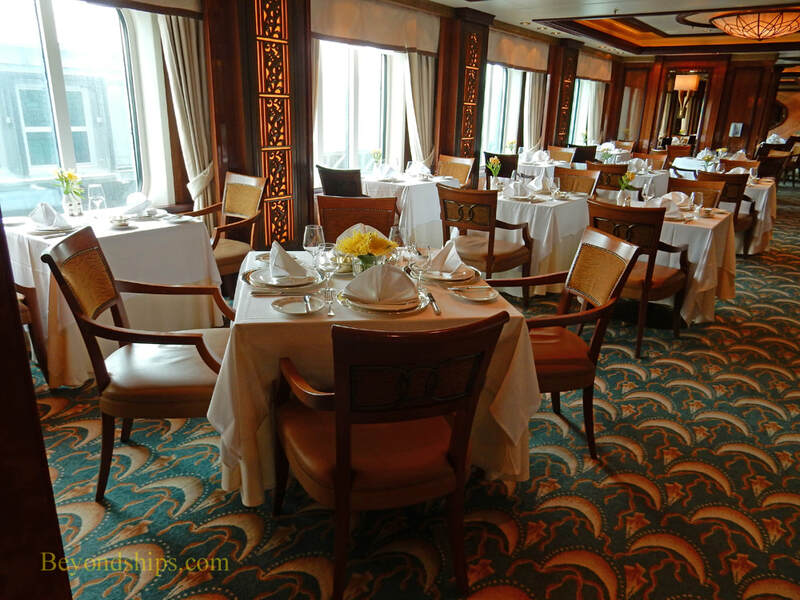 A disadvantage of the early seating on port intensive itineraries is that you may find yourself having to hurry to dinner after a day ashore. course of the voyage as well as to develop the comradely with other guests that often comes from dining together several times over the course of an ocean voyage. The Britannia Club is a separate room from the Britannia Restaurant. 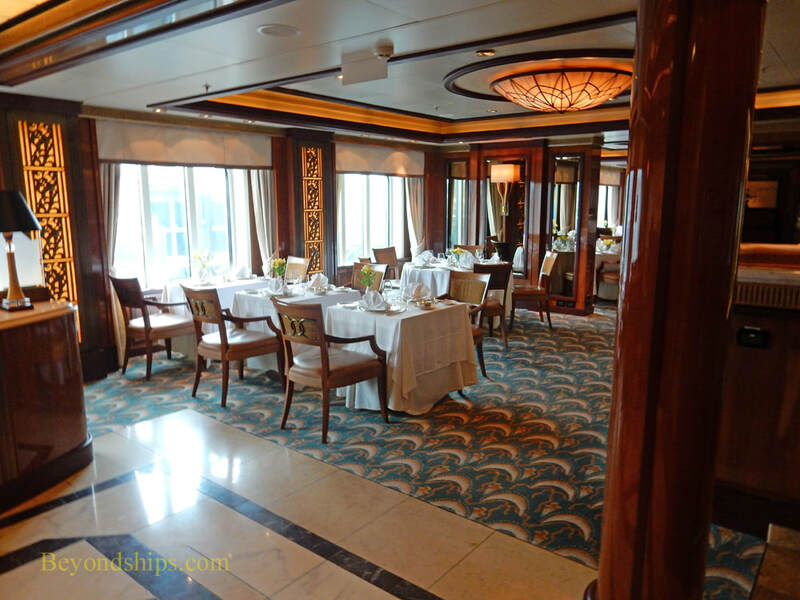 This venue is for guests staying in AA category balcony staterooms. 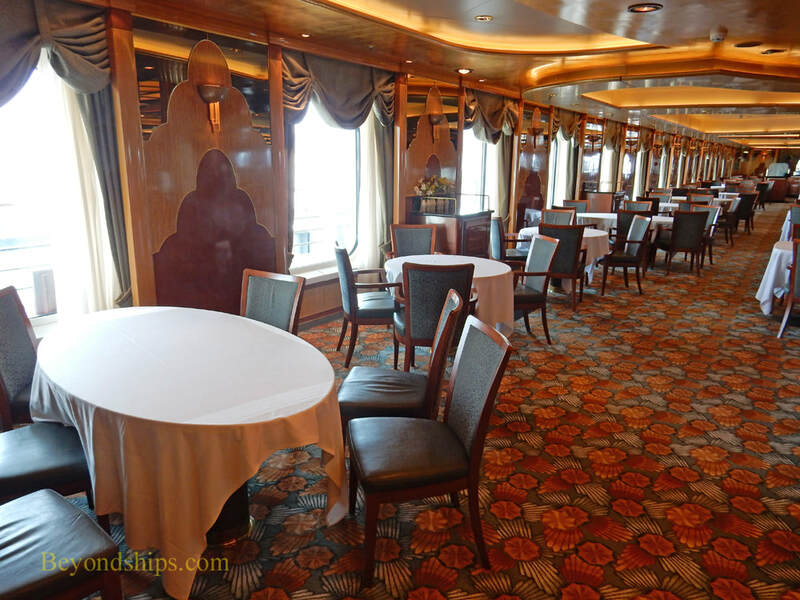 It differs from the main Britannia Restaurant in that there are no fixed seatings - - guests can come to dinner at any time it is open. 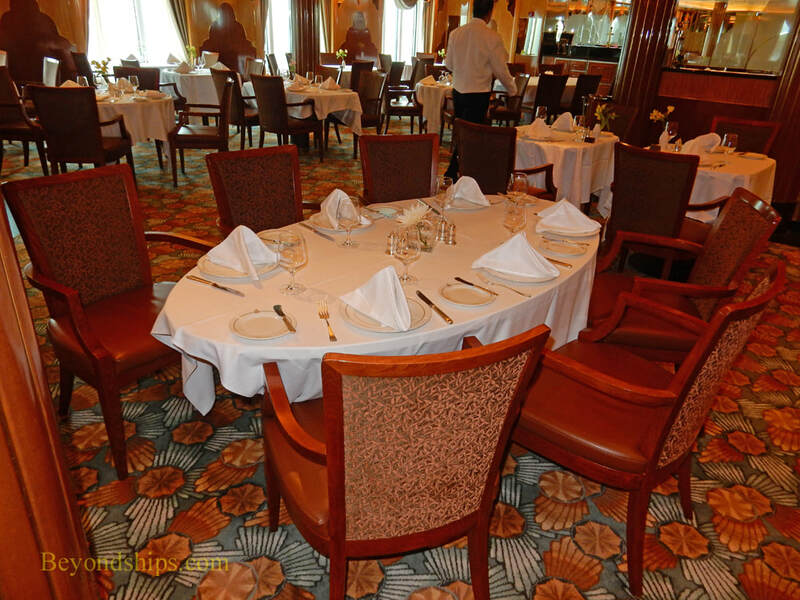 The Club also has a more extensive ala carte menu than the Britannia Restaurant.